Family traditions. Decoration gingerbread house. Preparing for the holiday of Christmas. 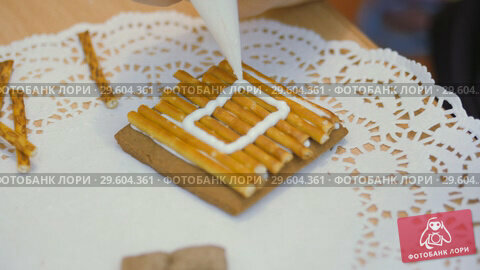 Decorating gingerbread. Close-up. Drawing drawing with white glaze. Camera in motion.